Nursing is a special calling that offers many rewards to those who accept it. Professional nurses are daily heroes who touch the lives of the patients they serve. Sadly, there are not enough nurses to meet the demands of Virginia’s aging population. The Healthcare Workforce Data Center reports a steady increase in the number of new nurses, yet the numbers are too small to manage the healthcare needs of the exploding population. Registered nurses provide direct care services to individuals, families, and communities and aim to promote optimal health and demonstrate respect for human dignity. The associate’s degree in nursing program is the most basic program for entry into practice and includes preparation for success on the NCLEX-RN for licensure in Virginia. Graduates can assume many roles in a variety of clinical settings. The associate’s degree in nursing equips students with the knowledge and skills to practice nursing in the areas of care, education of individuals, families, and communities, and counseling. The curriculum includes preparation for success on the NCLEX-RN and sets the foundation for lifelong learning through instruction in the classroom, laboratory, and clinical sites. Lectures in the classroom, clinical simulations, and review classes provide the foundation of learning to help students develop critical thinking skills and clinical judgment to competently meet the needs of patients across lifespan. Graduates will function effectively in the three primary roles: the provider of care, manager of care, and a member of the interdisciplinary team. Topics in the curriculum include human anatomy and physiology, health assessment, community-based nursing, developmental psychology, maternal newborn, psychiatric/mental health, parent/child nursing, fundamentals of professional nursing, geriatrics, and trends and issues in nursing. During the clinical experience, students demonstrate their competence in performing routine skills, collaborate and communicate with other members of the healthcare team, transfer knowledge gained in the classroom to apply solutions to common problems, and pursue new learning opportunities. The proliferation of associate degree in nursing programs in Virginia aims to produce new nurses to meet the existing shortage of registered nurse professionals. There are approximately 32 programs approved by the Virginia Board of Nursing. It is crucial that you enroll in an approved program that offers a clinical experience of 500 hours of more to be eligible to sit the NCLEX-RN for licensure in the state. Submit a completed application and the required documents by the submission deadline. Complete the ATI TEAS Nursing entrance exam – no more than 3 years before submitting your application. Meet the clinical requirements before the clinical placement – CPR certification, physical exam, immunizations, criminal background check, and TB clearance. Positive findings on your criminal history could negatively affect your ability to obtain clinical placement, take the NCLEX-RN, and obtain licensure in Virginia. Paying for college could be a challenge, but with extensive research and planning you can eliminate the obstacles. Virginia residents pay approximately $10,800 for two years of tuition. Student nurses will need to budget for additional supplies and costs, such as vaccines, nursing kit, uniform/scrubs, nursing shoes, CPR certification, drug screening, background check, nursing school pin, NCLEX fee, and state licensure. Transport to and from the clinical sites will also factor into the total cost of attendance. Financial aid is an obvious resource to reduce your out-of-pocket costs. However, there are some other things you can do to make tuition more affordable. When comparing schools, calculate the total cost of attendance and not just the tuition. Explore your options for tuition reimbursement especially if you’re employed in healthcare. There are numerous and grants that can help fund your education if you’re willing to hunt for them. The Virginia Department of Health offers nursing scholarships, such as the Mary Marshall Nursing Scholarship Program. A full list of scholarships and grants for nursing students is available on the AACN’s website. Virginia became a participating member of the Nurse Licensure Compact in January 2005. Therefore, you must apply for licensure in your primary state of residence if it is another compact state. You must provide evidence of your primary state of residence if declaring Virginia as your primary state on the application. The Compact defines the “Primary state of residence” as the state of your declared fixed permanent and principle home or domicile for legal purposes. If you’re a Canadian Nurse with an unrestricted license in Canada, and you completed training in Canada in English and subsequently passed the Canadian Registered Nurse Examination, you are eligible for licensure by endorsement. Contact the Board for an appropriate application form to submit your request for endorsement. Complete the application for licensure by exam if you recently graduated from a state-approved registered nursing program that prepared you for the state board (NCLEX-RN). If you’re not a recent graduate, or attended an education program outside Virginia that did not provide at least 500 hours of clinical practice, or graduated from a foreign nursing program, you should contact the Board for instructions before submitting your application online. The non-refundable fee of $190. The fee may be paid using a check or money order payable to the Treasurer of Virginia or a debit or credit card online (Visa, MasterCard or Discover). Documentation that you completed an approved nursing education program. A statement and/or copies of court documents for an affirmative to criminal history/chemical dependence question. A criminal history does not constitute grounds for denial of licensure. The Board may request additional documents and arrange a hearing. Your registration for the NCLEX-RN on the web or by phone. Supporting documentation of your disability if you request special testing arrangements for the exam. Appropriate documentation includes a letter from a professional describing the disability and confirmation from the Disability Services department of the college defining the type of modifications granted to you. A fingerprint-based background check. After you submit your application online, request the fingerprint background check from Fieldprint, the approved vendor. Use the VBON Fieldprint Code on the application confirmation receipt, available after you submit your application online, to schedule your fingerprint appointment. The results of the report will be forwarded to the Board of Nursing. Your application will expire in 12 months if you do not complete the requirements for licensure. If your name, address, or other profile information changes after you submit the application, you must submit a request in writing for the Board to update your records. Include your name, address, and social security number on the request. Enclose a copy of your marriage certificate or other court order if you’re requesting to have your name changed. NCLEX-RN Registration: You must register with Pearson Vue for the NCLEX-RN. You can register on the web (select the Register and Pay online option), by telephone (1.866.496.2539), or by mail (registration forms are available at the Board’s office). The exam fee is $200 payable using a debit or credit card online or by phone, or a cashier’s check or money order by mail. The name you provide on the exam registration must match the name on your picture identification that you’ll provide at the test site. Download the Candidate Bulletin on Pearson Vue’s website as it will contain instructions and important information concerning the exam and scheduling your appointment. Once the Board of Nursing receives your application, they will notify Pearson Vue to send an authorization to test (ATT) by email or postal mail. The ATT will contain important information about making an appointment to take the exam. Documentation that you completed an approved nursing education program. If you graduated from a program with less than 500 clinical hours, you must provide evidence of 960 hours of clinical practice and an active unencumbered license in another US jurisdiction. Your former employer must send written documentation of your practice directly to the Board of Nursing. The document must indicate the dates of employment and hours worked. Verification of licensure. If your original state of licensure participates on the NURSYS license verification system, you should go to nursys.com to request verification of licensure. If your state does not participate, complete the top portion of the license verification form and send it to the Board of Nursing in the state where you were originally licensed by examination. There may be a fee associated with verification of your license. The original board must send the form directly to the Virginia Board of Nursing. A copy of your current license from another state or Canada if you intend to work in Virginia pending licensure. You may work in Virginia for 30 days if you submit your application for licensure before or within 10 days of employment and present your current license to your employer and a copy to the Board’s office with your application. The Board will provide an authorization letter upon receipt of the application and license. The 30-day period may be extended at the Board’s discretion. Registered nursing licenses must be renewed biennially. The Board will mail a renewal notice 60 days before the license is scheduled to expire. You’ll need the renewal PIN code on the notice to renew the license online. Gather your licensure number, PIN, and credit card before you initiate online renewal. Apart from renewing your license, you can also update your address, request duplicate licenses, and provide emergency contact information. The renewal fee is $140 or $190 for late renewal. If your license lapsed, the reinstatement fee is $225 or $300 after suspension or revocation. After August 1, 2015, nurses must fulfill continuing education requirements to renew their licenses in Virginia. The continuing education requirements within each biennial period is 15 hours. The hours must be completed at an institution approved by a regionally accredited educational institution or professional nursing organization. You do not need to submit documentation of your continuing education with the renewal application. However, you should keep the documents on record to provide in the event of an audit. The slow and steady increase in Virginia’s RN workforce does not match the population’s growth rate. 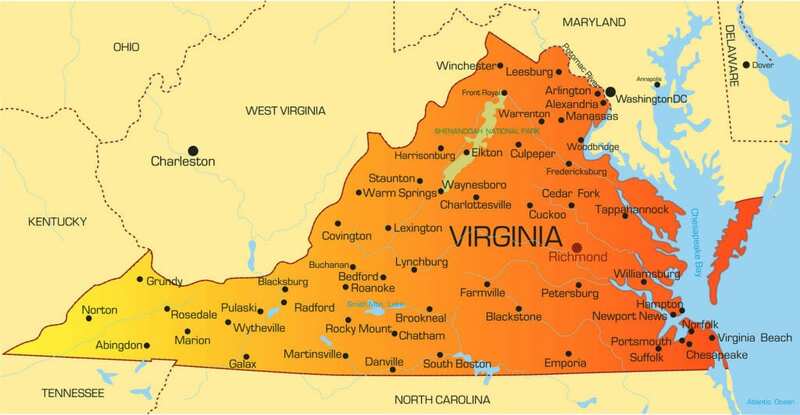 Virginia’s population is projected to grow by one million between the years 2008 to 2028, and persons over 65 will account for 16% of residents. Using a Nurse Supply Model and Nurse Demand Model developed by the U.S Health Resource Services Administration (HRSA), the Healthcare Workforce Data Center projects a severe shortage of nurses over the next decade. The growth of nursing education programs and enrollment, and deferred retirement of working RNs have helped to maintain a favorable supply of nurses. However, increasing age-related retirement combined with an aging population reduces the number of RNs per 10,000 persons. A 2010 Forecasting Nurse Supply and Demand in Virginia report proposed two solutions to address the shortage of nurses “increase the number of new entrants and delay retirement.” According to the report, approximately 10,000 more RNs will be needed in 2017 compared with 2008. By 2028, the workforce will need an additional 30,000 more nurses to address the level of demand. The greatest need will be in the skilled nursing facilities that provides services to the elderly. 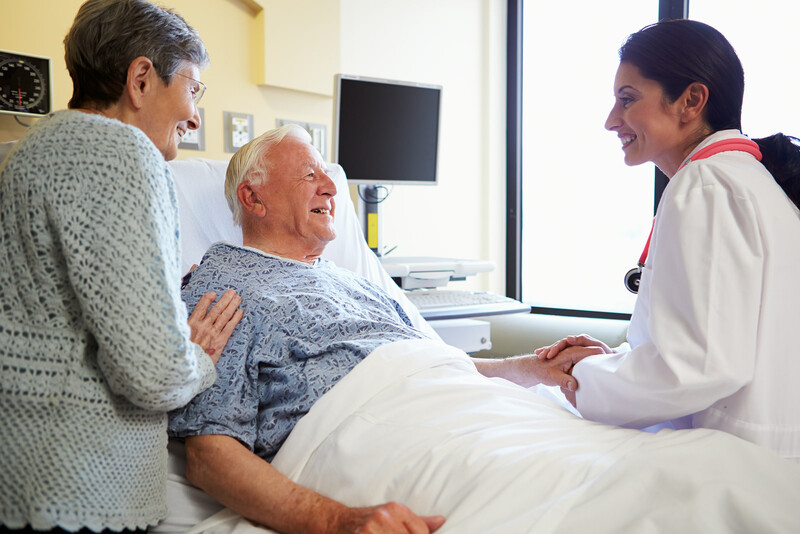 Home health services and outpatient care services are also expected to realize record growth when compared to opporunities on schools, occupational health, and other settings. 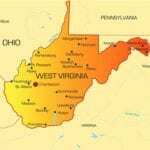 The disparity between demand and supply means that ADN-prepared nurses have a better chance of employment in Virginia when compared with other states where ADN RNs are facing challenges on the job front. The median annual salary for Virginia RNs in 2014 was $63,880.